Tell me this design doesn’t get your heart racing. 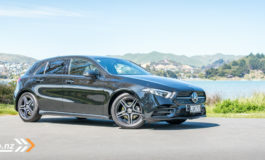 Yet another two AMG models for New Zealand, both equally impressive in design and specifications – not to mention power trains. 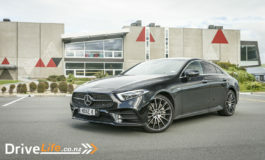 The first four-door sports coupé solely developed by Mercedes-AMG is set to arrive in New Zealand with the Mercedes-AMG GT 63 S 4MATIC+ able to sprint from standstill to 100km/h in just 3.2 seconds. 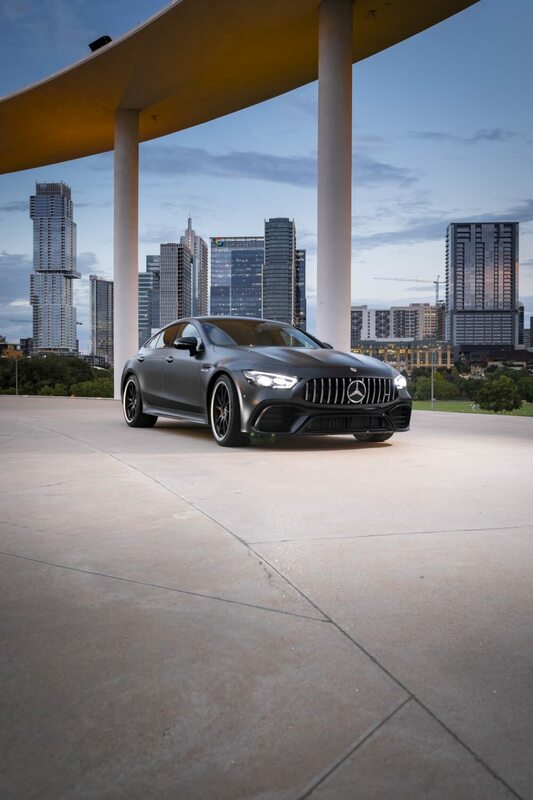 The Mercedes-AMG GT 4-Door Coupé combines unique design, high comfort and outstanding sports car engineering with an athletic, four-door fastback layout. It is the sports car that combines the unparalleled performance of Mercedes-AMG with a body style also designed for day-to-day use. “The new AMG GT 4-Door Coupé blends the impressive racetrack dynamism of our two-door sports car with maximum suitability for everyday use. 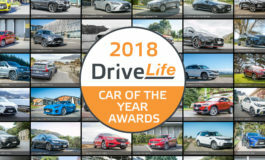 It has a unique way of embodying our brand core, “Driving Performance” and with its systematic configuration it will attract new customers for Mercedes-AMG,” commented Tobias Moers, CEO of Mercedes-AMG GmbH. The AMG GT 4-Door Coupé is the latest member of the Mercedes-AMG GT family of performance-oriented sports coupés and convertibles, which includes the two-seat, two-door GT, GT S, GT C and track-focused GT R models. The GT models are descended from the SLS AMG ‘Gullwing’, the first car developed in-house by AMG, which itself is a homage to the iconic Mercedes-Benz SL roadsters of the 1950s and ‘60s. The model range kicks off with the Mercedes-AMG GT 53 4MATIC+ 4-Door Coupé, with an inline six-cylinder engine featuring EQ Boost technology and making 320kW of power and 520Nm of torque in combination with an AMG SPEEDSHIFT TCT nine-speed automatic transmission. Power is delivered via 4MATIC+ all-wheel-drive and an AMG Performance Exhaust System. The AMG 53 4MATIC+ will reach 100km/h in 4.5 seconds from standstill. An suite of safety features includes Active Distance Assist DISTRONIC, plus other active technologies including Active Blind Spot Assist, Brake Assist with Cross Traffic function, Lane Change Assist and Steering Assist. 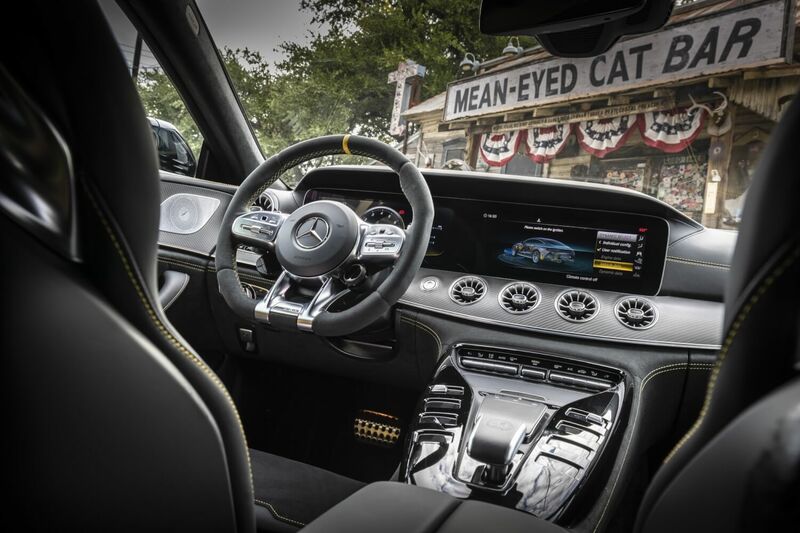 Nine airbags, a 360° Camera, and the PRE-SAFE accident anticipation system round out the list. 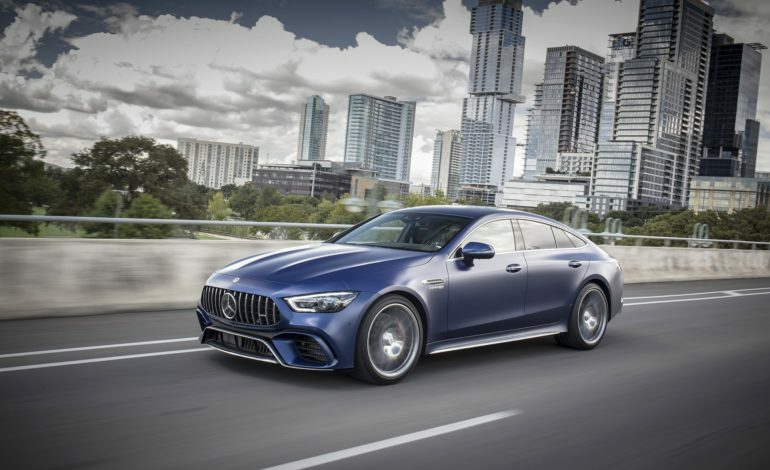 The Mercedes-AMG GT 53 4MATIC+ 4-Door Coupé will start from $236,900 MRRP in New Zealand, with options including the AMG Exterior Chrome Package ($2,500 MRRP), AMG Exterior Carbon-fibre Package ($9,500), AMG Night Package ($2,500), Luxury Rear Package ($5,300), and Warmth Comfort Package ($1,300). The new Mercedes-AMG GT 63 S 4MATIC+ 4-Door Coupé is the world’s fastest series production four-seater on the legendary North Loop of the Nürburgring, with a time of 7:25.41. 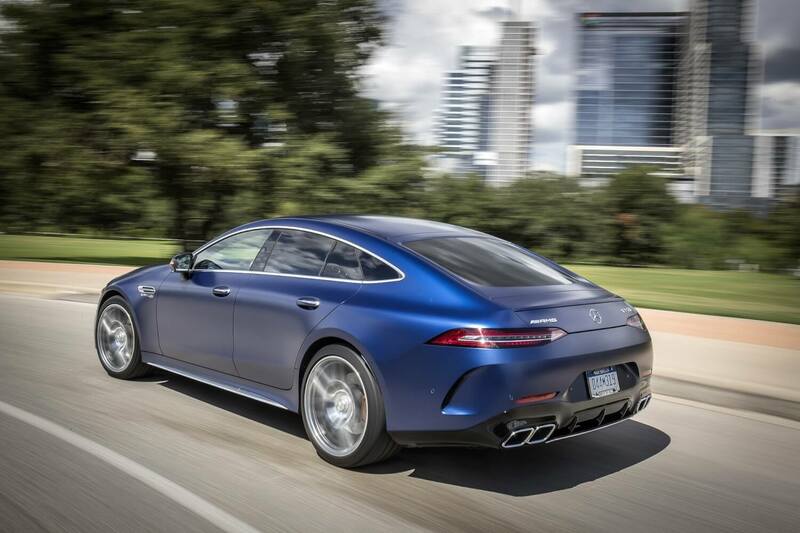 At its heart is a 4.0-litre bi-turbo V8 making 470kW and 900Nm. Allied to the AMG SPEEDSHIFT MCT nine-speed auto and the fully variable 4MATIC+ system, it can sprint from standstill to 100km/h in just 3.2 seconds. 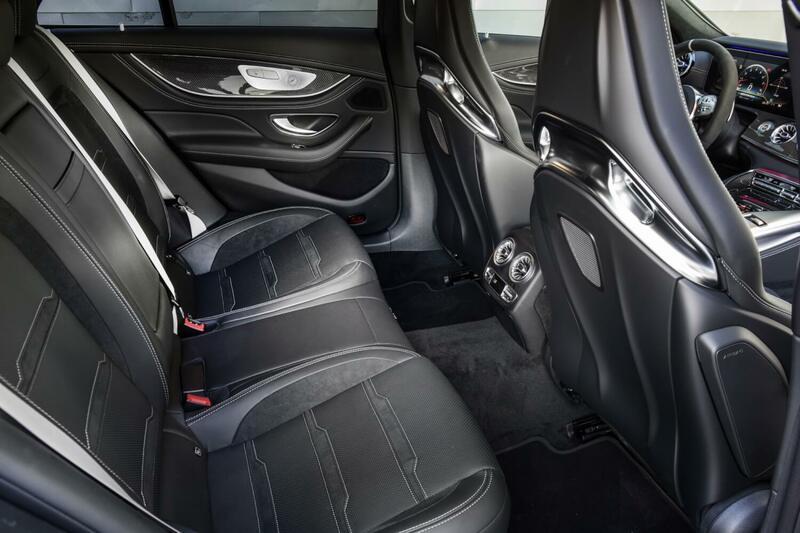 Rear-axle steering, an active dynamic engine mount, 21-inch AMG cross-spoke forged wheels, AMG carbon-fibre trim, power-closing doors and an AMG Performance steering wheel trimmed in black DINAMICA microfibre are also fitted as standard. 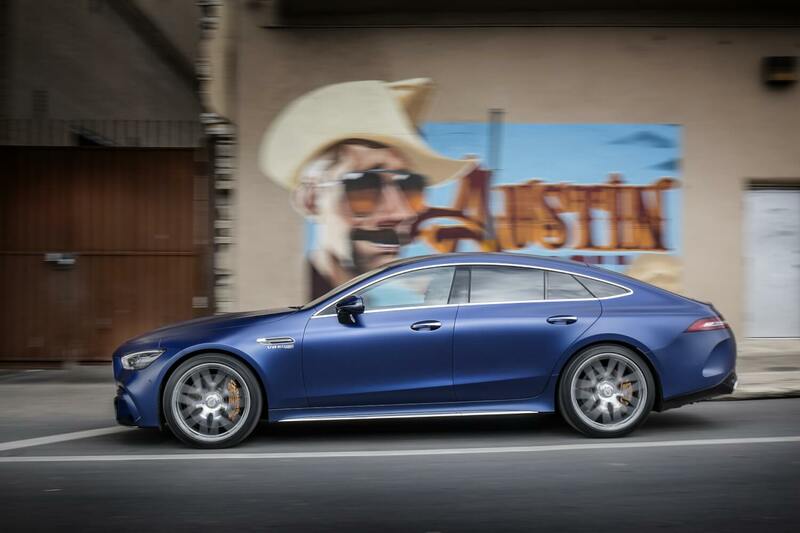 The Mercedes-AMG GT 63 S 4MATIC+ 4-Door Coupé is priced at $326,600 MRRP and option packages include the AMG Exterior Carbon-fibre Package ($9,500 MRRP), AMG Night Package ($1,500), Luxury Rear Package ($4,600), Warmth Comfort Package ($1,300), AMG Aerodynamics Package ($7,300), and AMG Carbon Package II ($11,600). 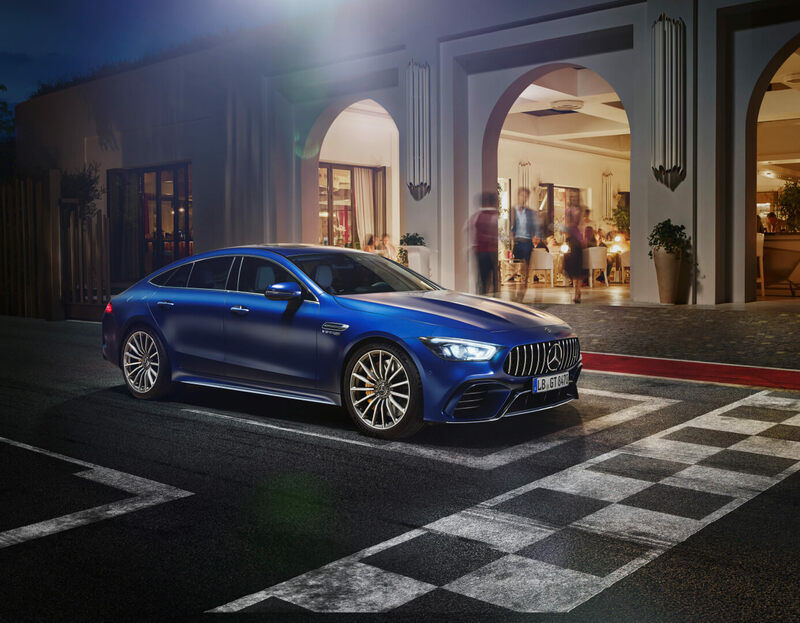 A further option available exclusively to owners of the AMG GT 63 S 4-Door Coupé is the Edition 1 Package, which includes the AMG Aerodynamics Package, special 21-inch AMG cross-spoke forged wheels in matt black with a high-sheen finish, AMG sports stripes, climatised front seats, Exclusive grey/black Nappa leather with seatbelts in yellow, two individual rear seats, and AMG matt carbon-fibre trim. The Edition 1 Package adds $5,900 (MRRP) to the purchase price. Both variants of the Mercedes-AMG GT 4-Door Coupé are scheduled to arrive from mid-2019.